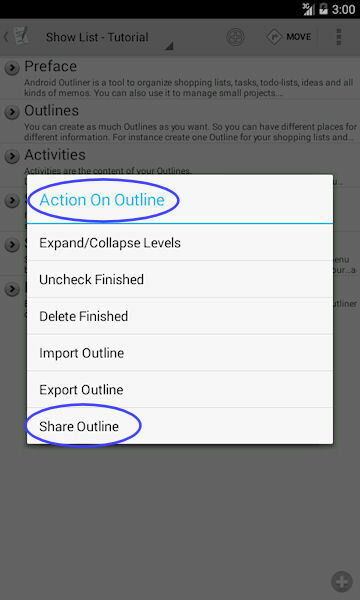 Android Outliner now syncs with desktop applications which store their Outlines in OPML format. This works with OmniOutliner for instance, which is THE Outliner for Mac with a really big user base. 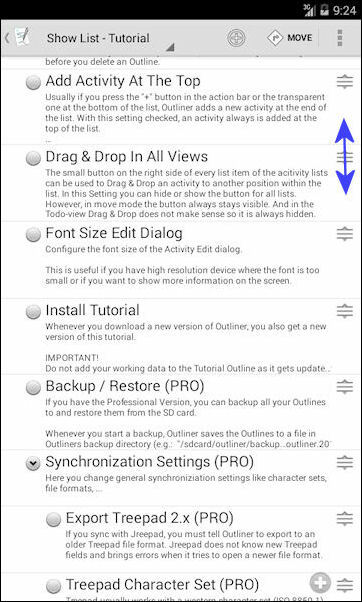 If you store your Desktop Outlines in OPML format in your Dropbox, Outliner can sync them to your Android device. 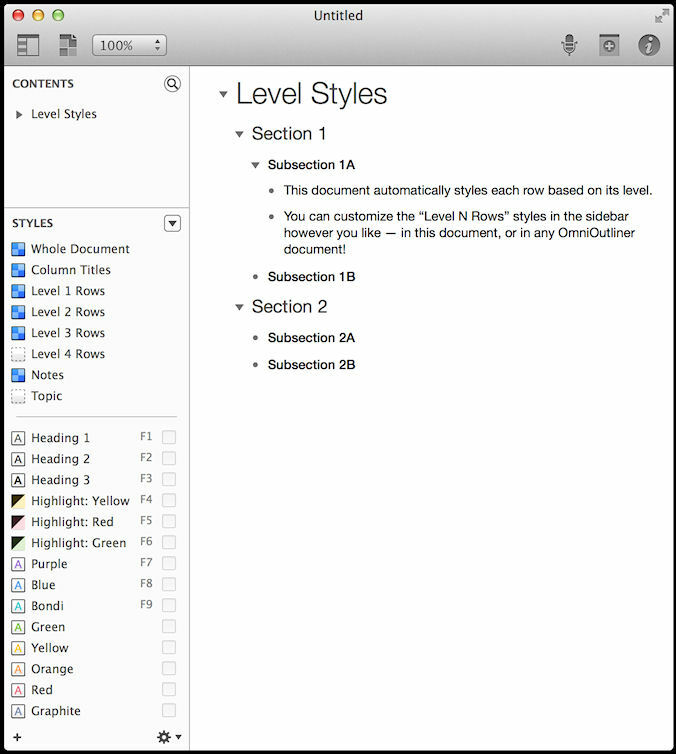 If OmniOutliner uses OPML-format (instead of the native format), all formatting and attachments are lost. You get a simple text-based Outline. But this one you can synchronize with Android Outliner now. 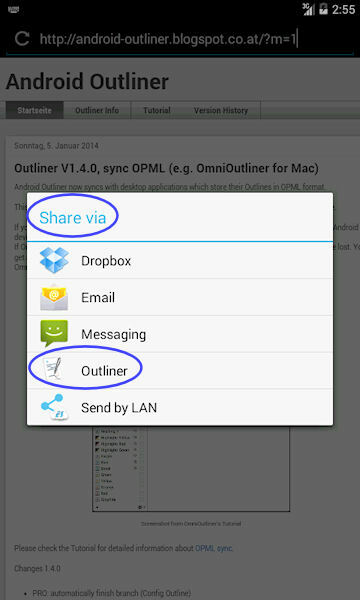 OmniOutliner opens OPML-files which Android Outliner stores in Dropbox. Please check the Tutorial for detailed information about OPML sync. User a swipe gesture to move an activity right or left.